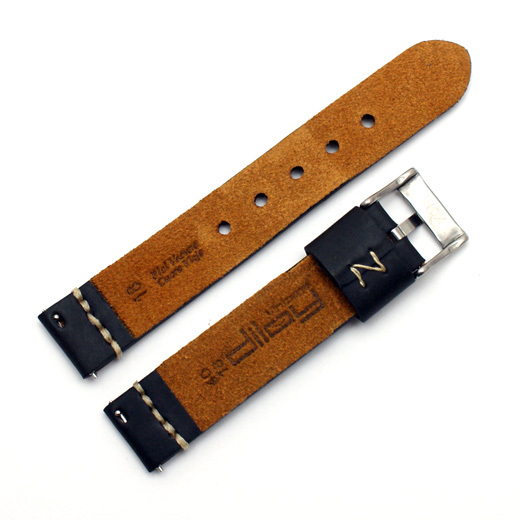 Please note: We are currently sold out of this strap in 22mm. We have other options here. 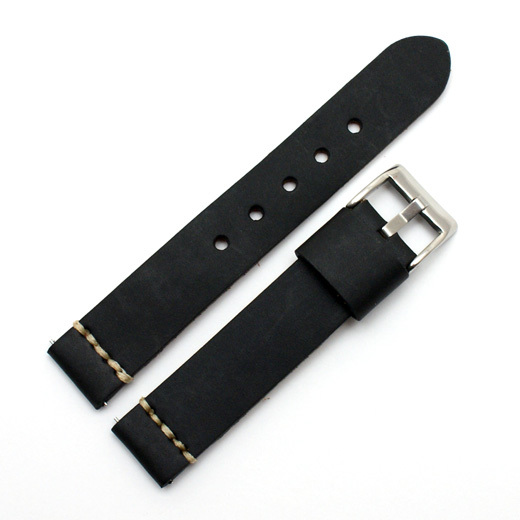 This flat / block padded matt black watch strap is made from vintage style, distressed calf leather with thick rice coloured contrast stitching across the lugs end and a heavy duty steel buckle. It is from the Diloy Vintage Range, is designed to mimic a vintage or aged strap and may therefore have some dents or marks on it when it arrives, as you may see in the photographs, and will develop crease marks when it is bent.